Campgrounds: Tent and RV Camping Parks in Arkansas for Everybody! The capital of Arkansas and the most important city is Little Rock. The name of the state comes from the language of the Quapaw Indians. It has both lowlands and highlands, and the Arkansas River Valley offers some of the most beautiful views. There are several national parks with lakes and streams. It also has some larger rivers such as Mississippi, Arkansas, White, St. Francis, Red and Ouachita. Tourism is important for this state so no wonder that there are several RV parks here. Magnolia RV Park LLC is a small, nice comfortable park hidden near a lake. This brand new park has free cable TV and free internet. You can enjoy the catch and release in the fishing pond that is next to the RV park. You can bring your dog because there is a fenced pet yard. The covered pavilion can offer a nice place for the evenings. The laundry room is operated with coins. There are warm showers that you can use. Full hookups are available throughout all the sites. The staff is very friendly and welcoming all year round. If you like the adventures of Tom Sawyer, you will also like this park. 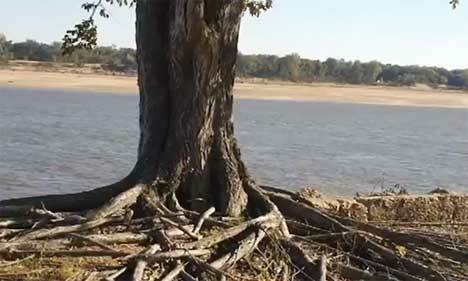 You can enjoy here the river Mississippi, its beautiful wildlife and scenic views. You can do this all in a very relaxed atmosphere at the Tom Sawyer RV Park. The park is well maintained and clean, it has a welcoming staff and it has all the comfort you need: full electric service, water and sewer hookups, wireless internet, cable TV and more. It is a family friendly park and pets are also allowed. You can choose to park your RV in the shade of the woods or right next to the water. No matter which one you choose you will have a great time! This park is both for RVs and for tent camping. The best part of the Crater of Diamonds state park is that you can dig for your own diamonds and gemstones for a small fee and keep whatever you find. This activity can be enjoyable for the whole family. There were already several notable diamonds found in the area of this park and many gems. If you are interested in diamonds and other gems, you can also visit the exhibit gallery. Facilities of this park include bathhouses with restrooms, dump station and laundry possibilities. The beautiful serene setting of the Beaver Park is found in Beaver Town, Arkansas. You can see here the beauty of nature and also that of the town; it’s kind of bridge to nostalgia. You can have here a nice time with your family; play some fun games, swimming, boating, fishing, picnicking and barbeque. There are shaded campsites, indoor restrooms, picnic tables, covered pavilion and more. The RV site has many amenities and a dump station as well. Besides the RV site you can also use the campsites. Other benefits of the Beaver Park and Campground include a playground, swimming beach and boat ramp. If you like wildlife, you will also love the White Oak Lake State park. It has rare animals such as the blue heron, egret, osprey, green heron and migrating bald eagles that you can see. The lake at this moment is drained to allow work on the dam, but the area still offers a beautiful place to camp. Here are some of the amenities that you can enjoy at the White Oak Lake State park: hiking trails, barrier-free fishing pier, store with various supplies, launch ramp, covered pavilion, picnic sites, playground for kids, visitor center with exhibits, bicycle rentals and interactive programs as well. There are wildlife viewing opportunities at this park. 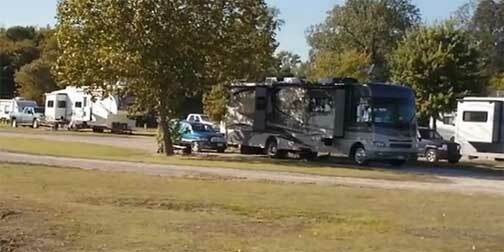 If you are interested in a unique vacation, consider booking a spot at campground tent and RV parks in Arkansas. Twenty eight of the fifty two state parks have campsites available. You can call or visit the park to make reservations or you can take care of it in the internet. Sites will be assigned by the registration attendant. You may request a particular site if it is not in use. Pets are permitted in Arkansas state parks. However, they must be leashed or in a crate or cage at all times. This is to prevent Fido from bothering other guests, pets and/or wildlife. Also you must clean up after your pet right away and dispose of waste in a plastic bag or wrapped in paper and placed in a trash can. Most campsites have electric and water hook-ups, picnic tables, grills and lantern hangers. Some have flush toilets and showers. There are also dump stations available. There are even some RV’s for rent at certain parks, costs range around $70.00 a day and you must bring your own linens and can sleep up to eight. Tepees and yurts can also be rented. Yurts are round tents with wood floors, screened windows, electricity, a stove, cots, lanterns and an ice chest, high walls and a door. For meetings and family reunions you can rent a camp in two of Arkansas state parks for about forty bucks a day with a $45 deposit. Check this out well in advance of the date of your event. State residents over the age of 62 can get a 50% discount off the regular rate Monday thru Thursday and 25% off on weekends and holidays. Out of state seniors will get a 25% discount during the week but none on holidays or weekends. There are also discounts for those with permanent disabilities. Arkansas is a great place to camp.